nick bullock and myself spent the most of last night putting together the cd’s for nick bullock’s show on thursday. bullock will be playing at wildfire lounge thursday 2.5.10 at 9:30 pm. 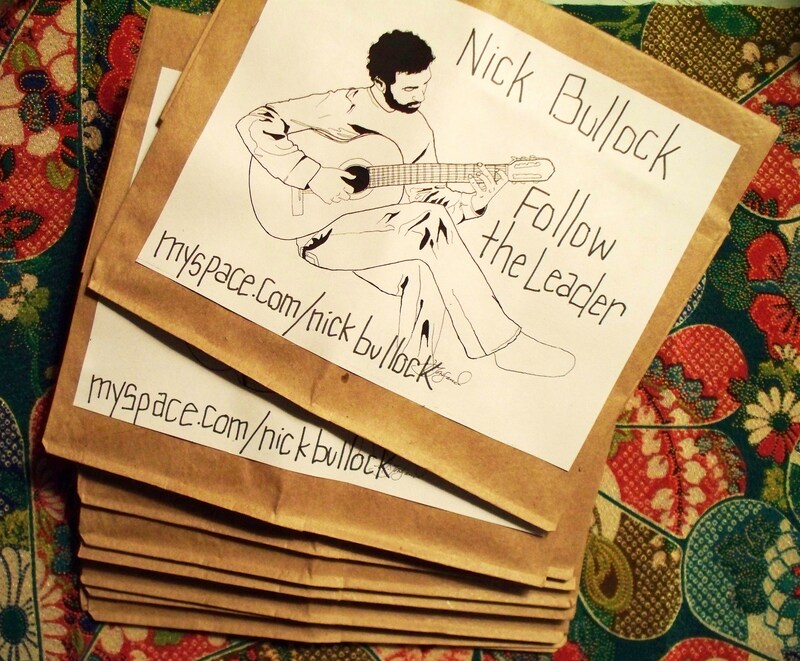 bullock has recorded one of his new, unreleased tracks onto a cd for all attendee’s to take home with them. the song on the cd is “follow the leader”. written, played, recorded, and mixed by bullock. the art work and package design is my handy work. anything for nick! bullock will be playing his solo, singer/songwriter debut all month long. stay tuned, and be sure to make it to thursday’s show! 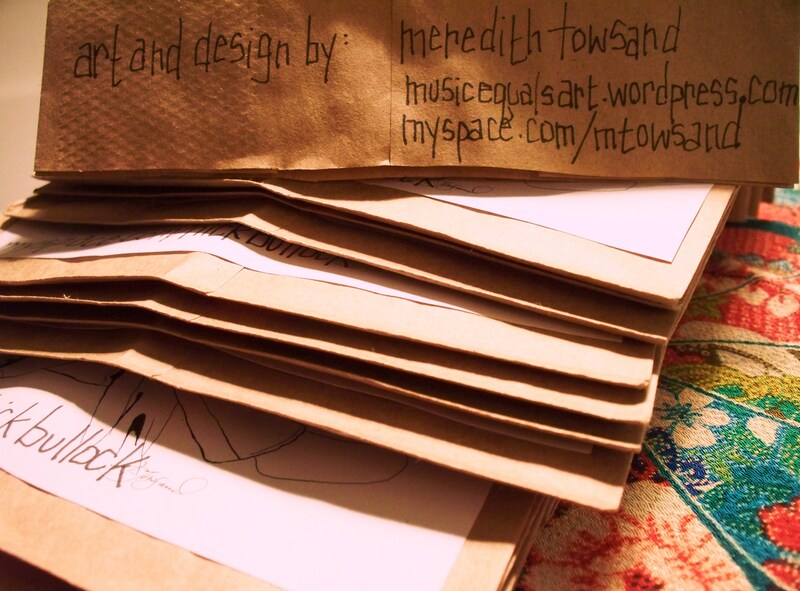 This entry was posted in MISC and tagged ithaca, nick bullock music, ny on February 3, 2010 by Meredith C. Bullock.